A GREEVES Motorcycle Manual PDF is above the page. One fine summer evening, Bert Greeves mowed grass on the lawn in Worcestershire, England. His work was supervised by a cousin, Derry Preston-Cobb, paralyzed from birth and sitting in a wheelchair. At some point, Preston-Cobb proposed to adapt the lawnmower engine to a wheelchair. Greeves got down to business and quickly took off the motor from the mower and set it on a chair. Such a design can not be called too complex, but very soon it formed the basis of the company "Invacar", which began to supply the government with three-wheeled vehicles for the disabled. The company moved to Worcester and eventually settled in Thunderlsley, Essex. Bert Greeves began to think about creating a motorcycle. The prototype with the Villers engine came out of the gate of Invakar; on his gas tank was stamped the name of Greaves. Frank Beaford, the workshop master at Invakar, regularly traveled to this experimental car at local competitions. In 1953, finally, the official birth of the motorcycle Greeves, significantly different from the prototype, created a few years before. 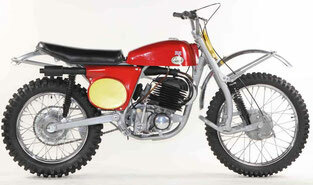 Greeves-32DS Sport Twin; was released only 184 copies. There were three models, on all stood the engines of the Villers Mk 8E (Manuals PDF page) with a capacity of 197 cm3. In 1954, the entire model series of Greeves was exhibited at the show in Earls Court, London. In addition, there was also a surprise in the form of the Flute model, on which the British two-stroke Anzani engine with a volume of 242 cm3 stood. The British took some time to get used to the idea of the birth of a new brand, but shortly after the exhibition Bert Greeves had already assembled an official team, which included Peter Ham-monde, Jack Simpson and Norman Stopper. Brian Stonebridge was hired in 1956 as the manager of the competition department and the engineer-developer. It was he who managed to convince Greeves in the need for a test bench for motors. He challenged the best racers of his time at Hawks-Town Park, winning a class of 350 cm3 and taking 2nd place in the 500 cm3 class on a machine with a 197 cm3 engine! Naturally, the next Greeves motorcycle was named Hawks-Town. Dave Bickers joined the team, and in the first round of the 1960 championship in the 250 cc class was the first to finish, having won the first of many of his wins that followed his departure from the track at the end of the same year. 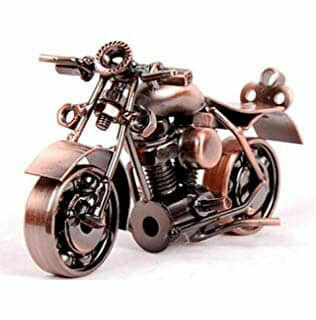 The motorcycle underwent modernization, and Bikers continued to win one race after another. Orders began to arrive, not only from Great Britain, but also from other countries, including the United States of America. Bikers won his second championship in the class of 250 cm3 in Greeves, and Alan Clow entered the team. At the end of the season, however, Bikers moved to Husqvarna (PDF Manuals page). In 1962, the "Greeves" began to participate in road racing in the class of 250 cm3, putting on them an experienced motorcycle, which he named Silverstone. Under the leadership of Gordon Keith, he won in 1964. Grand Prix of the TT of the Isle of Man in a class of 250 cm3. By 1967, the Challenger model appeared with a 346 cm3 engine and the corresponding Aul-ton race-road machine. The Ranger model was developed, especially for the USA. By 1968, the Villers was on the verge of total collapse, and the Greeves disappeared from the race tracks, although later the company returned to them with Pathfinder. 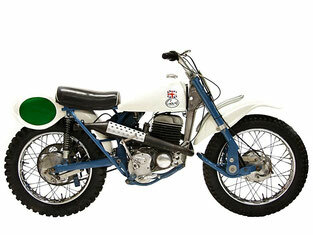 In 1968, a model for a motocross with a 390 cm3 engine appeared, making its debut in Tirsk. In 1977, the company hired Gordon Blair, a two-stroke engine specialist, who was to assist in completing the design of the new Griffin machine, but at the same time the plant took up the parallel production of parts and their wholesale. Bert Greeves retired, and in 1977, Derry Preston-Cobb did the same. Soon after, the company stopped selling.